The night was full of fun and surpirises who participated the Boardwalk’s Eat.Play.Blog. Bloggers’ Forum last Friday at Ming Restaurant in Ortigas. It was 11.11.11 and was so perfect for bloggers to show their creativity on the activity conducted by the Boardwalk staff. 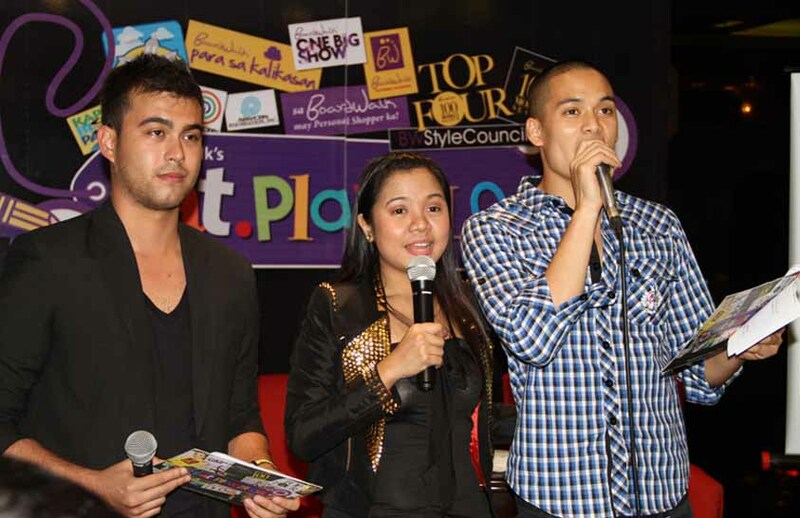 This event was hosted by Ace Gapuz, Edward Watson, and one of Boardwalk's top runway models, Gerard Sison. If you love hip and trendy shoes, you should definitely check out Boardwalk shoes! Boardwalk shoes are not just fashionable, it's also affordable! You can also get a free personal shopper just for you on any Boarwalk stores! Personal shoppers are representatives from a store who assist you with making your purchases. They give you individualized attention and can offer opinions on which clothing items will best suit you. Just feel like a celebrity and shell out big bucks for this service, you can find a free personal shopper to assist you. Simply call and ask for a personal shopper on any Boardwalk store, provide measurements and a list of items and they will surely be glad to help you out. They'll help you select items based on your budget and needs, and will offer an objective perspective on questions of fit and fashion. These personal shoppers know the latest trends much better than I do, and they always seem to find things that flatter my body better than I find when I’m left to search a store on my own. It will save you the time of having to wander around the sales floor looking for what you want. And right now, it's a buyers market at retailers, so don't be shy about bringing your list to other clothing retailers and asking for help. Boardwalk also supports 11.20.2011 : A Run For The Pasig River which is spearheaded by the ABS-CBN Foundation, an event that promotes a safe and clean Pasig River and aims to bring back its former glory. The new website at www.boardwalk.com.ph will allow you to be a personal shopper for your friends and family because their online catalog is updated and the sizes and style designs guide will help your fashion needs met in an instant. On their 20th year, Boardwalk expands their efforts to pursue making a difference in the lives of others now with a recently opened hub in Hongkong and more celebrity models to promote their products like Nikki Gil, Coco Martin, Julia Montes and Matteo Guidicelli. For more information, visit www.boardwalk.com.ph or like them in Facebook and follow on Twitter for more updates and promos.